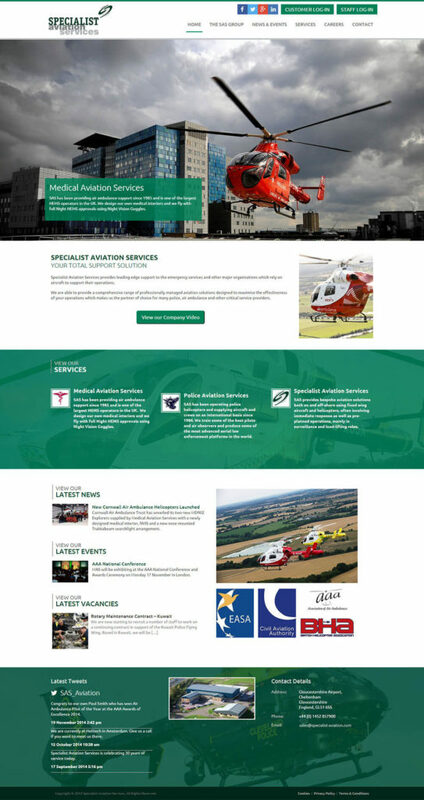 SAS Group has its origins in two companies, Police Aviation Services and Medical Aviation Services, both set up in the UK over 30 years ago during the infancy of Emergency Services aviation. Over this time, SAS has spearheaded the development of the industry in the UK and further afield. Today they employ over 150 staff, operating and supporting aircraft on an international basis, 24 hours a day on every day of the year. The Specialist Aviation group came to Mushroom Internet as part of our merger with Consult-X in 2011. The company was rapidly expanding and required a new website after their re-branding exercise. We produced multiple design concepts for the SAS Group before resting on what you see today, bringing a fresh, clean and mobile responsive site that we still work closely with SAS on today.